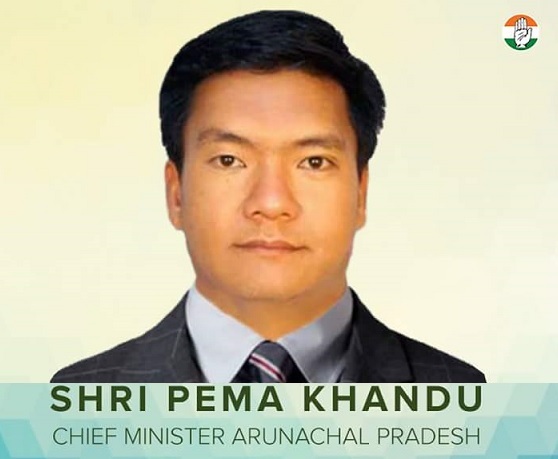 Pema Khandu sworn in as Arunachal Pradesh Chief Minister , Khandu had staked claimed yesterday after being elected leader of Congress Legislature Party. Congress MLA and new Arunachal Pradesh Congress Legislature Party leader Pema Khandu took oath as the new Chief Minister of the state today at Raj Bhavan. Chowna Mein was sworn in as the Deputy Chief Minister. 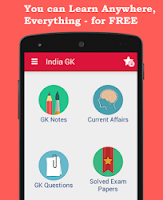 Khandu, replaced Nabam Tuki who resigned after stepping down as leader of the Congress Legislature Party or CLP. 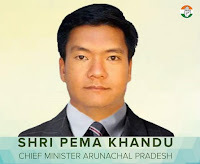 Khandu was chosen as the new leader of Congress Legislature Party after 44 party MLAs unanimously elected him in the place of Chief Minister Nabam Tuki, who was restored to the post only two days ago after the apex court verdict. A total of 12 Ministers will be part of the new Arunachal cabinet.